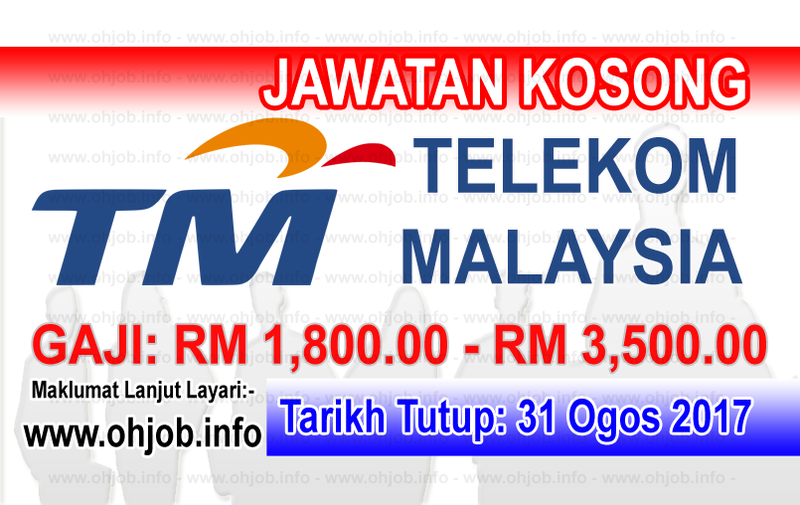 Telekom Malaysia Berhad ("TM") would like to advise that its official on-line recruitment portal is www.tmcareer.com.my and for those who wish to seek employment with TM are advised to visit only this portal. Any information submitted via this portal shall be used for TM recruitment purposes only. Please also note that all resumes shall be received only via the portal. Any resume submissions via email (hrhelpdesk@tm.com.my) will not be entertained. Terima Kasih Kerana Membaca Dan Menyemak Jawatan Kosong Telekom Malaysia Berhad - TM (31 Ogos 2017) Selamat Memohon Dan Semoga Berjaya Kami Ucapkan, Sila LIKE Facebook Page Kami Dan Kongsikan Kepada Semua.